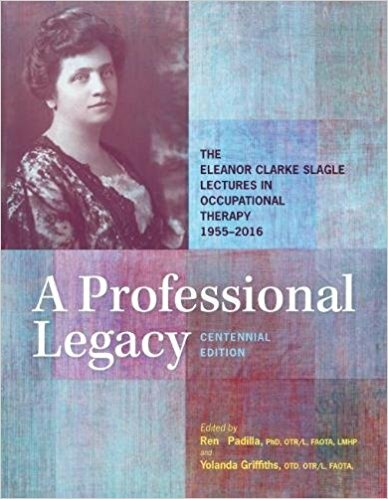 The Eleanor Clarke Slagle Lecture is awarded each year to a leader in occupational therapy who has made a significant and long-standing contribution to the profession. Together, these lectures document the evolution of the profession, tracking important history, values, beliefs, wisdoms, and commitments that remain part of the "occupational therapy consciousness" today. This compilation offers readers an opportunity to discuss, reflect, and affirm their own commitments to the occupational therapy profession by hearing the voices of leaders, mentors, and role models. The lectures are published as they originally were given. Brief introductions to each section place these lectures in historical context both within and outside the profession. Discussion questions and suggested learning activities further enhance readers' learning. An appendix offers updated biographical sketches of each lecturer.